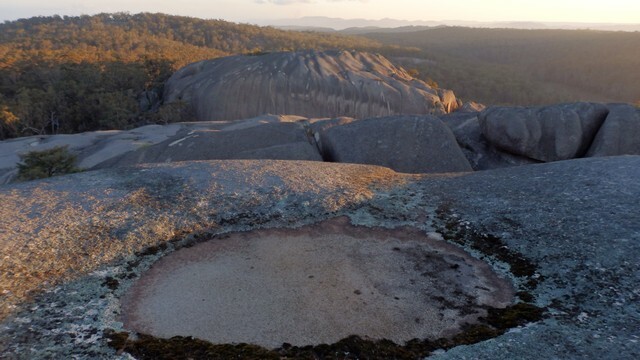 Located some 3 hours from Brisbane, visitors to Girraween National Park will find not only a different climate, but a spectacular granite littered landscape unlike anywhere else. 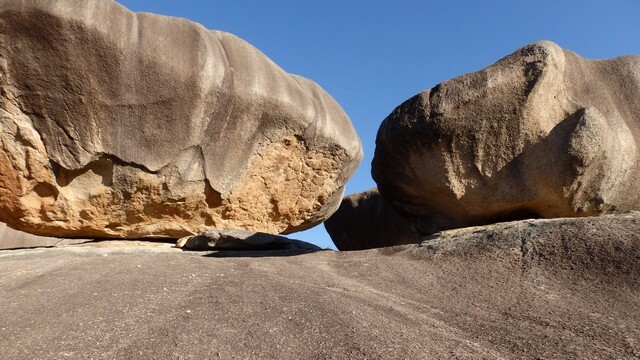 Giant granite boulders and slabs, along with massive granite dome outcrops featuring names including Pyramid Rock, Castle Rock, Mt Norman, Mallee Ridge and South/Middle/West Bald Rock. 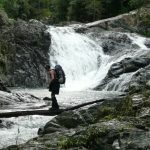 The myriad of caves, rock formations and spectacular outlooks from atop the many peaks, will surely spark the imagination and curiosity in even the least adventurous. 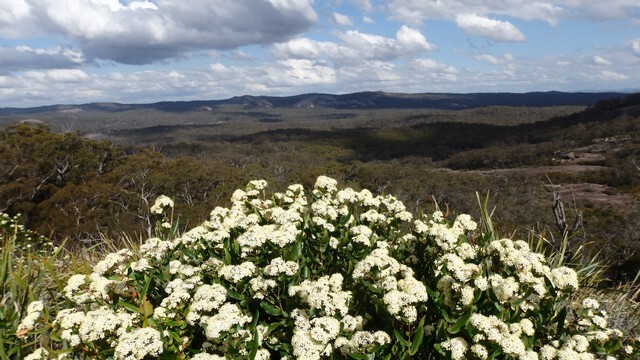 The name ‘Girraween’ means ‘place of flowers’ and it’s in Spring that this granite wonderland explodes to life with the annual spring bloom featuring a stellar flora cast of golden wattle, orchids, tea tree, pea flowers and assorted gums to name a few. 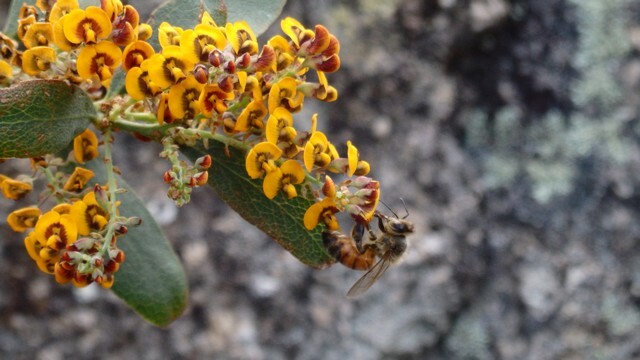 They ably supported by honeyeaters, bees and brilliantly coloured rosellas gorging on the nectar they provide. I arrive at the Park information centre late morning. Heading South, I’m soon standing atop Castle Rock, a popular vantage point for park visitors and a first look at the park’s landscape. 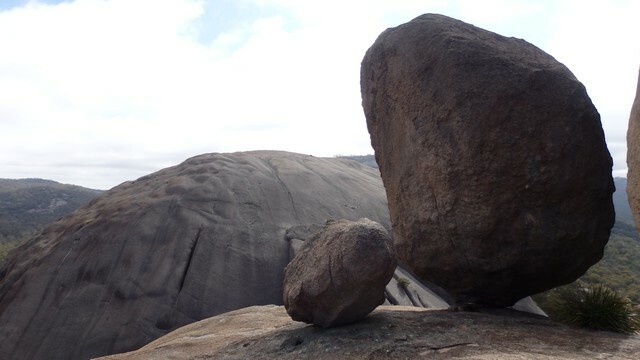 Walking on to nearby Turtle and Sphinx Rock, I’m amazed at the ‘balancing act’ of several huge boulders. After a short rest I decide rather than walk to Mt Norman on the trail back via Castle Rock, I’ll take a ‘shortcut’ directly east. This was my introduction to the Mallee scrub and teatree that dominates the landscape and the formidable obstacle to anyone who attempts to trespass through it. Sporting a few cuts and weary from the ‘bushbashing’ in the midday heat, I eventually I rejoin the path between Mt Norman and Mallee Ridge. The ‘shortcut’ took about an hour longer than if I had taken the trail! 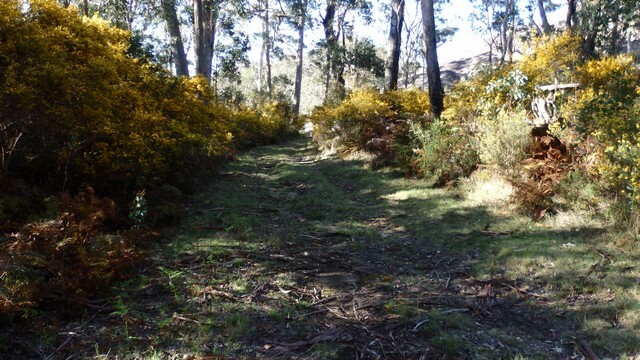 Embracing the well trodden path, I continue south towards the Mt Norman day use area to set up camp for the night. In hindsight, this day use area would have been the ideal site to leave the vehicle and explore the Parks Southern and Eastern features. Early on Day 2, I stand atop the eastern summit of Twin Peaks. With a geographical location in the centre of the park, most of the parks named peaks are clearly visible from this vantage point. With the sun’s intensity striking a early blow, I forgo the opportunity to scale the nearby Billy Goat Hill and continue north towards Underground Creek. 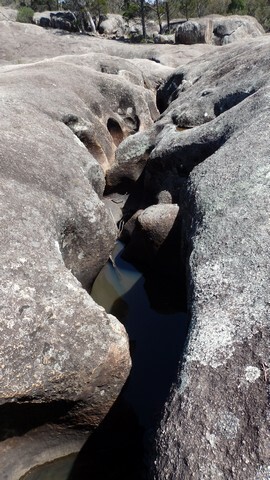 Whilst not technically underground, the watercourse has worn a deep scar in the granite slabs as it continues north towards Dr Roberts Waterhole and a welcome albeit short swim in the frigid waters. Retracing my steps, I head across to South Bald Rock and my campsite for the night. Tonight is not only a full moon, but a much anticipated ‘blood moon’. 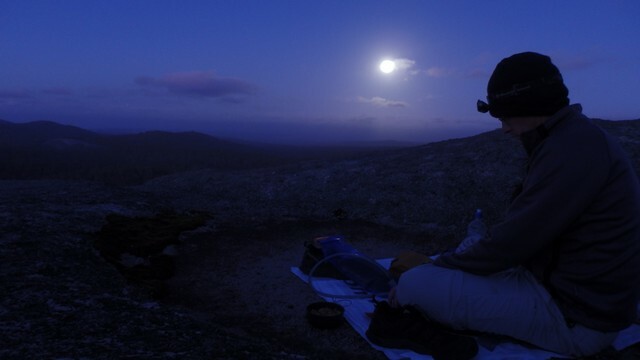 Setting up the tent at the base of this giant granite outcrop, I reach the top in time to soak up the sunset, which immediately precedes the full moon rise on the opposite horizon. In the fading twilight, the hot westerly wind that has dominated the preceding 2 days, melts away to leave an eerie silence broken only by bird calls from the landscape below. The serenity is soon snatched away with a sudden easterly gust that brings a swift change in temperature that has me reaching for warm clothing. Unfortunately the change in wind direction, is also pushing clouds from the east, hiding the aforementioned ‘blood moon’ which will appear shortly. 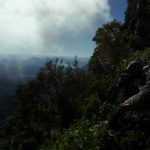 Also the threat of rain which would result in an ‘interesting’ descent, sees me beating a hasty retreat back to the tent. Evidence of wild pigs is everywhere through Girraween. 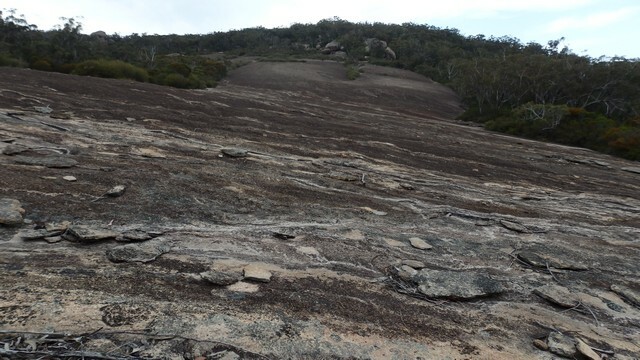 Soon after leaving South Bald Rock, I stumble upon a sizable specimen approx 30 mtrs from the trail. Surprisingly he is not yet aware of my presence. With recollections of a scary movie called ‘Razorback’ back in my teenage years, I reach for what is now an inadequate pocketknife. With blade open and clenched between teeth, I clap my hands to announce my presence, hopeful of a ‘flight’ not ‘fight’ response. Unlike the movie, the ‘beast’ quickly disappeared in the opposite direction. Rounding the bottom of the park past the Old Stone Cottage, I return once more to the Mt Norman day use area. 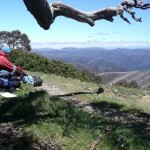 I leave the trail again shortly after and attempt to summit nearby Mallee Ridge. 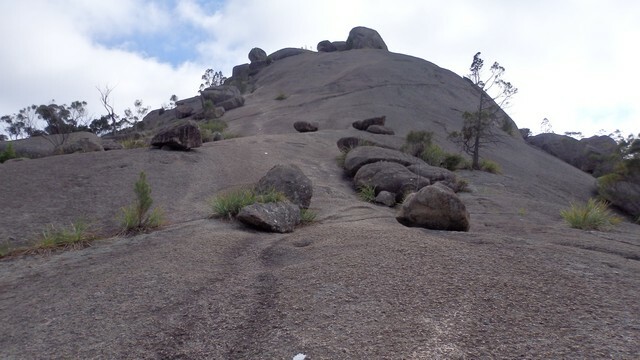 After several ‘dead-ends’ and wrong turns, I finally reach the large rock slab between two giant boulders that marks the highest point and the wonderful vista that surrounds. With lunch complete, I begin the descent, admiring the massive slab of rock underfoot that leads me down to the trees below. 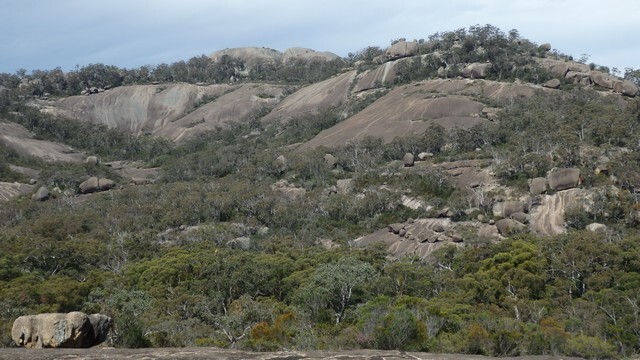 Returning to the trail, I begin the long slow climb to Mt Norman – the highest point of Girraween National Park. From Mt Norman, it’s a 5 klm walk to the Park information centre, which I reach shortly before dark. 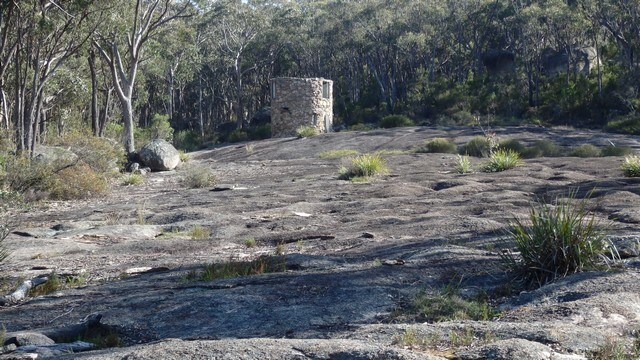 Before leaving the following morning, I take the short walk to the top of Pyramid Rock, from where I can see the majority of Girraween and the granite monoliths that inhabit this fascinating corner of Queensland. 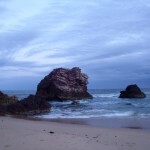 There are two campgrounds adjacent to the information centre, both with excellent facilities and located close to an excellent swimming hole and several short walks, including Pyramid and Castle Rock. 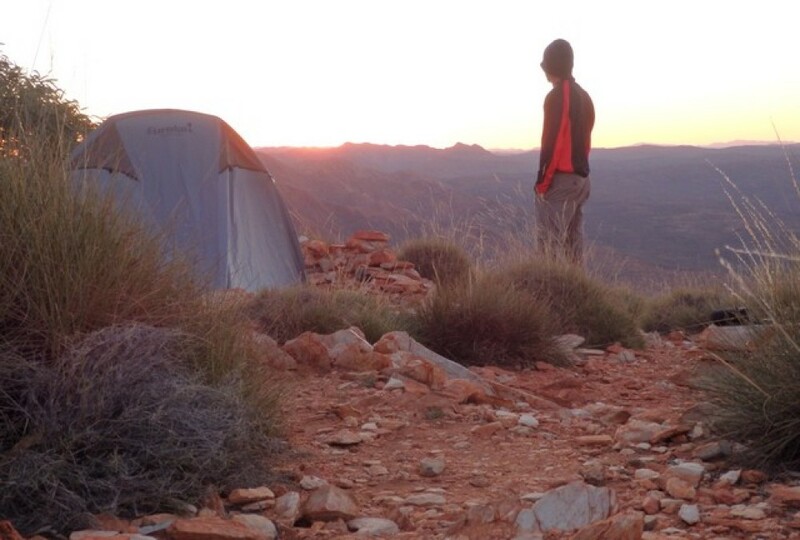 An ideal weekend getaway and outdoor adventure playground for both kids and adults alike! Three days well spent, but I’ll need to return; plenty more to discover in the ‘place of flowers!’. 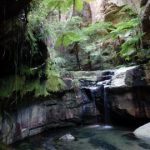 This entry was posted in Multi day hikes in Australia and New Zealand and tagged best hikes in Queensland, best walks in Girraween, best walks in queensland, camping in Girraween, Castle Rock, Girraween in Spring, Girraween National Park, Mt Norman, Pyramid Rock, South Bald Rock, what to see in Girraween. 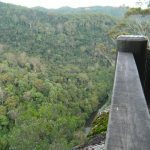 best bushwalks in queensland by danthewanderer. Bookmark the permalink. Like multi day walks. Would like to participate in SE Qld. 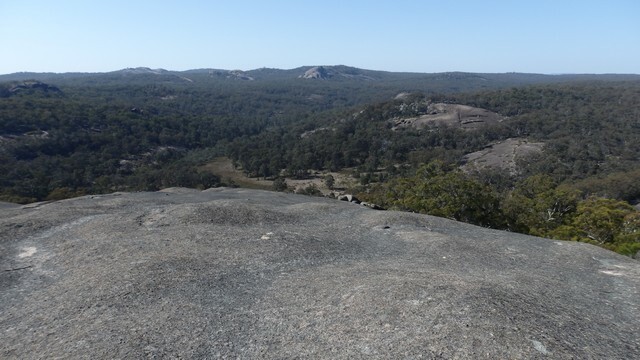 Thanks Mike, the landscape at Girraween lends itself to great photos!